DALE BURKE began his state employment with the UW-Madison Police Department in 1979, as a security officer, and was promoted to police officer later that same year. Over the years, he achieved the ranks of sergeant, lieutenant and captain before receiving the working title of assistant chief in 2002. Dale served as a co-chair for several UW-Madison fundraising efforts, the most recent being the Great People scholarship campaign designed to provide increased financial aid for students. He was honored to receive the UW-Madison Classified Employee Recognition Award in 2009. He is past president of the Fitchburg Lions Club, where he has resided since 1980, a past president of the Dane County Chiefs of Police Association and has been a regular blood donor for the American Red Cross for almost 30 years! 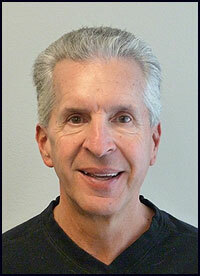 Dale joined the UWRA shortly after his retirement at the end of 2010 and has served on the Board of Directors since. He was born and raised in Sun Prairie, has been married for 35 years to his wonderful wife Joan. They have two adult children, Austin(Chicago) and Deana (Madison).